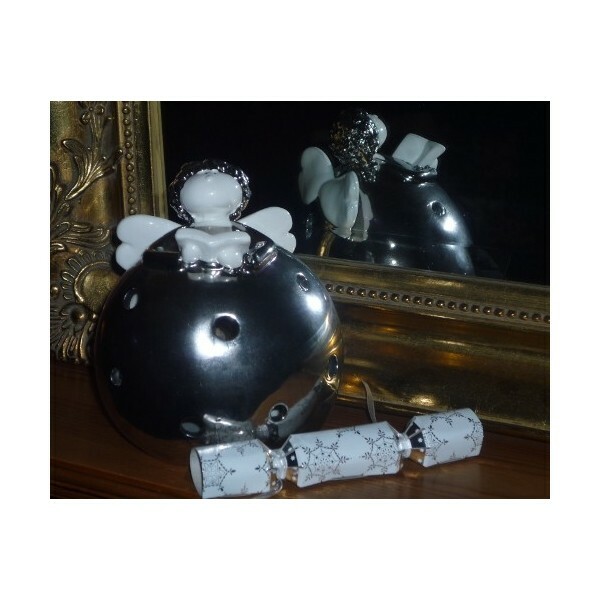 Our cheeky cherub would be an angellic addition to any Christmas dining table, alternatively, line them up on the mantlepiece with a scented tea light inside to fragrance any room. Approx measurements: 15cm high, 13cm wide, depth 10cm. (6inches H, 5inches w, d 4inches). 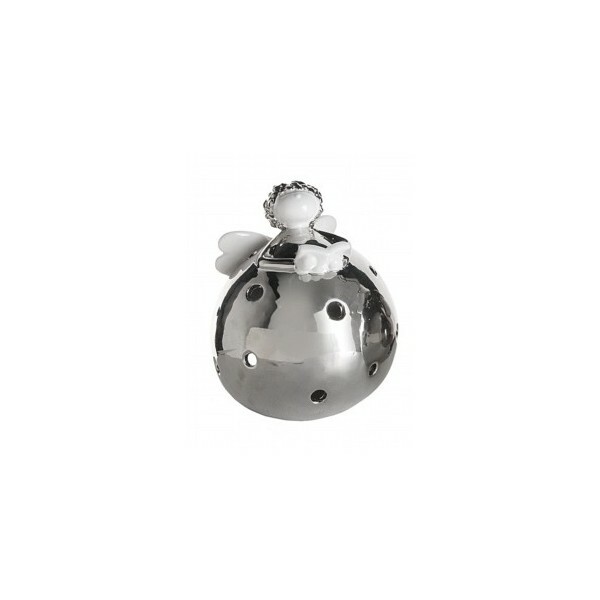 Mix and match with our Santa Claus tea light holder, they compliment each other perfectly. This magical pair are sure to bring a touch of class to proceedings this Christmas! 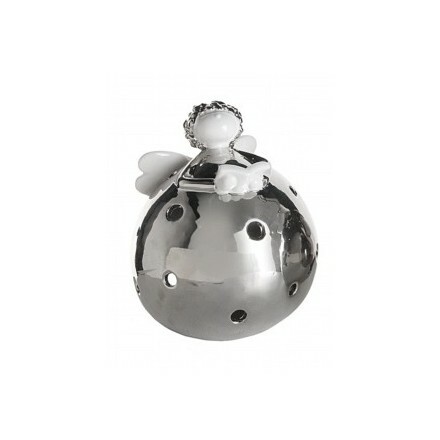 Silver metallic effect body with white opaque face, wings and prayer book. Small cut out circles allow the light to shine through. These are bigger then we thought they would be and make a great centre piece for a Christmas dining table. © 2013 Styleabode Limited. ALL Rights Reserved.